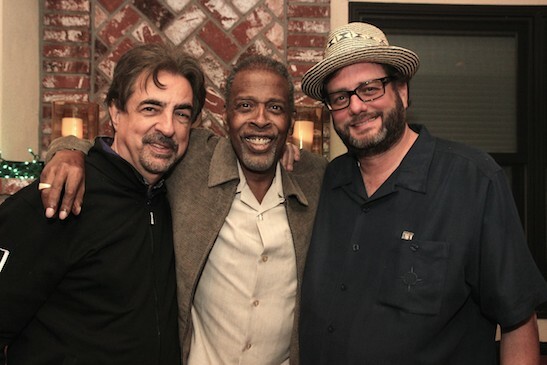 Actor/director Joe Mantegna pays tribute to his brother, the late Meshach Taylor, in an upcoming season 10 episode of “Criminal Minds,” which he helms. Production for the episode wrapped on November 19, 2014, and will air on January 21, 2015. Writer/ Producer Danny Ramm co-wrote the first episode of “Criminal Minds” that Taylor appeared on in November, 2012. 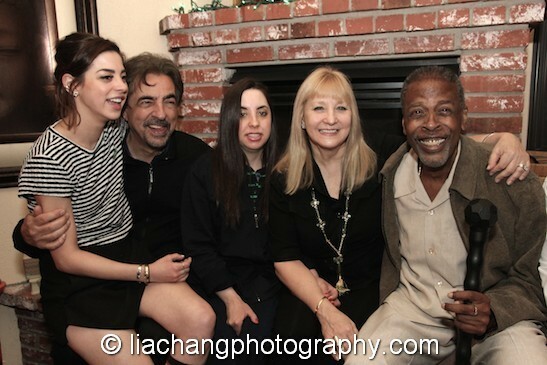 Ramm has worked in partnership with Joe Mantegna since 2001.During that time he worked with Mantegna on the CBS dramas “First Monday,” “Joan of Arcadia” and currently, “Criminal Minds”. Feature film work includes Stateside and Mother Ghost. Prior to that, he worked for two years as a script consultant for screenwriter Nicholas Pileggi, (Good Fellas, and Casino.) Currently Ramm produces the award winning shows Midway USA’S Gun Stories for The Outdoor Channel. He also created and produced Quick bites, a series for KCET Los Angeles. He recently completed work on Choc’late Soldiers, a look at the scope of racism during World War II and is in post production on the documentary Live Forever The Ray Bradbury Odyssey. 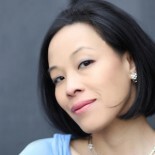 Writing credits include “Criminal Minds” and “Quick bites the series” and an untitled drama pilot for The Outdoor Channel. 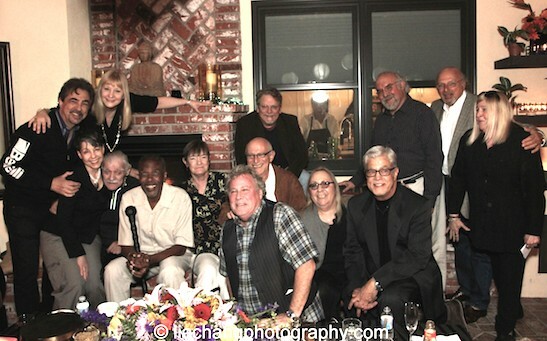 Co-writer Danny Ramm shared a few details by email about the Meshach Taylor Tribute episode. Danny: We began filming yesterday and will wrap the episode on the 19th. Can’t say anything about the plot except that it will be a beautiful and fitting tribute to Meshach and the character he brought to life. There will be some surprise guest in the episode and some returning ones. It will air Jan 21st. 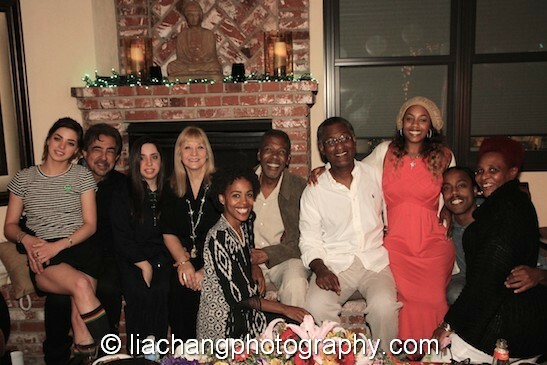 Lia: What inspired you to write the first script about Meshach Taylor’s character, Harrison Scott, Rossi’s former Marine sergeant who fell on hard times and ended up a homeless vet after Vietnam? Danny: What inspired that character was my personal connection and work with the real New Directions in Los Angeles. It’s a facility dedicated to helping homeless veterans and I always thought what they did and the stories of the men and women they have helped were not only interesting but inspiring. When you meet a man who lived in a box for 15 years and now after going through the program not only has a job and a home of his own, but actually owns a second home that he rents out, well that’s truly inspirational. It has always been a goal of mine to tell as many people as possible about the work they do, in these “Meshach” episodes we’ve been able to do just that. The writers on the show, especially Rick Dunkle and Bruce Zimmerman, and the show runner Erica Messer as well as the network have all been very supportive from the beginning. This episode in particular presented some very difficult challenges for us but we’ve been able to overcome the them. It can be difficult to tell such a personal story in episodic TV and I’m forever grateful to everyone involved to be on board with it from the start. Danny: When we did the cast read through of the script last week, it was so wonderful to see some returning faces and some new ones, but as we began I was quickly reminded that our friend Meshach wasn’t with us. It was very bitter sweet. They say that death is hardest on the living, I know that to be true now. There have been some unexplainable coincidences that can only be explained by our belief that Meshach has had a hand in this tribute. I think Joe and I both have said a few times that we feel his hand guiding us. Lia: When did Meshach first come into your life? Danny: I met Meshach about 13 years ago when I started working for Joe Mantegna. I know I felt an instant connection to him, I’m not sure if he did with me. I only say that because he was everyone’s best friend. It didn’t matter if you were the big director at the party or the bartender, Meshach would sit and talk to you at length. He was always curious and always learning. He’d ask you about you, about your family, where you were from, he wanted to know you. He was the guy that you always looked forward to seeing at any party. For me as writer, Meshach never said no. Whether it was a staged reading or a critique or just advice, he was always available to help me. Having a guy like that tell you he likes your writing is a real shot in the arm. The last time I saw him was on his birthday. He was so happy and touched that so many friends came to see him. The love was bigger than the universe. He smiled that unmistakeable Meshach smile whole night, a grin from ear to ear with a hint of Cheshire Cat mixed in. He was funny, charming, polite, respectful and probably one of the best story tellers I’ve ever met. We all miss him dearly. Certain aspects of this episode will be difficult for a lot of us, but it’s important that we do it, for him, for his fans and for us. I don’t really believe in closer, to me that makes it all too final, too in the past. For me Meshach isn’t gone, I see him all the time on TV, laughing, joking, being outrageous. It’s comforting to know that he’s still out there making people laugh, and cry, and think. Whenever I do run across one of his many films or TV appearances I think, how lucky was I to have known him? 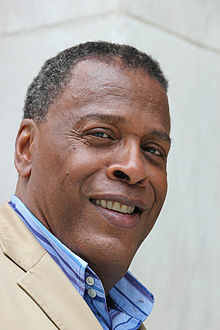 Meshach Taylor, whose career spanned over four decades on television, in films and on the Broadway and regional stage, became a household name with his Emmy-nominated turn as lovable ex-con turned law student Anthony Bouvier during seven seasons from 1986 – 1993, on the CBS sitcom “Designing Women,” and for his portrayal of Hollywood Montrose, a flamboyant window dresser in the 1987 box office hit and cult classic romantic comedy film Mannequin and the 1991 sequel Mannequin 2: On the Move. 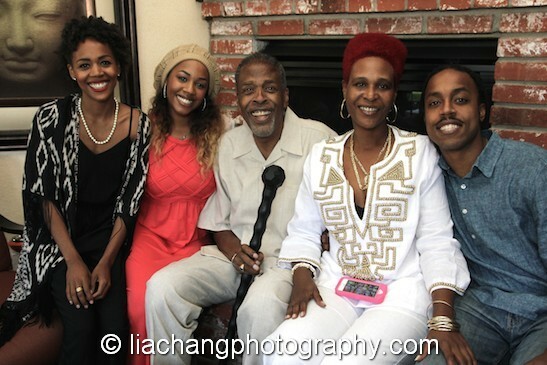 The beloved actor, devoted husband and father, was surrounded by his wife Bianca Ferguson Taylor, his 100-year-old mother Hertha Ward Taylor, his daughters, Tamar Lashae Taylor, Yasmine Taylor, Esme Taylor, and his son Tariq Taylor, when he passed away peacefully in hospice care at home in Altadena, CA. on June 28, 2014. He was 67. 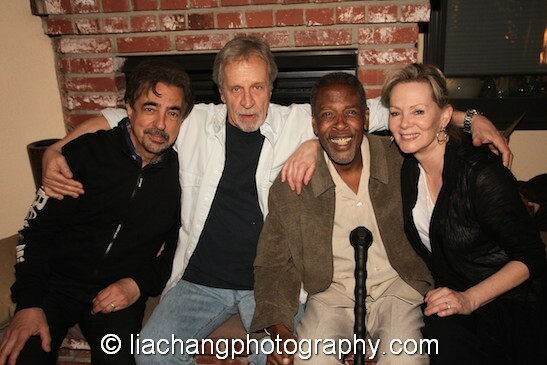 During Taylor’s homegoing memorial service on July 6, 2014, in the Old North Church at Forest Lawn – Hollywood Hills in Los Angeles, “Criminal Minds” star Joe Mantegna recounted their first encounter, their professional beginnings in a touring company of Hair, and working together as members of the Organic Theatre Company in Chicago. 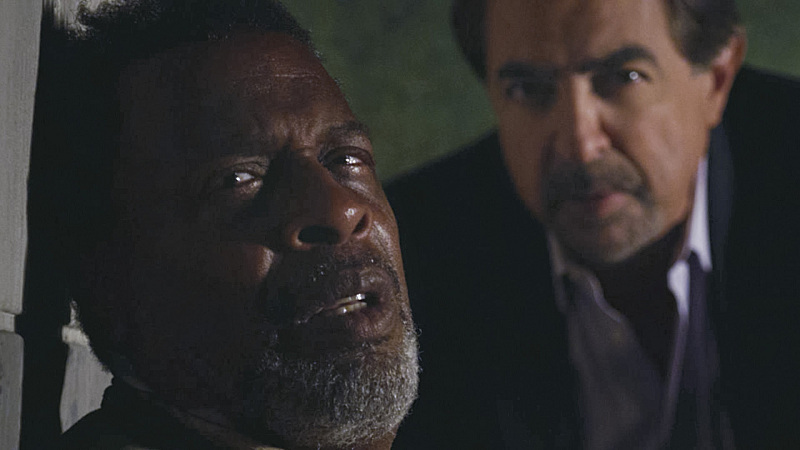 Meshach Taylor and Joe Mantegna in Criminal Minds – “The Fallen”. Photo: Screen Grab/CBS © 2012 CBS Broadcasting Inc. All Rights Reserved. Mantegna also told the story behind the late “Designing Women” star’s first appearance on the CBS drama in season 8 as Harrison Scott, Rossi’s former Marine sergeant who fell on hard times and ended up a homeless vet after Vietnam on the episode, “The Fallen,” which aired in November, 2012. 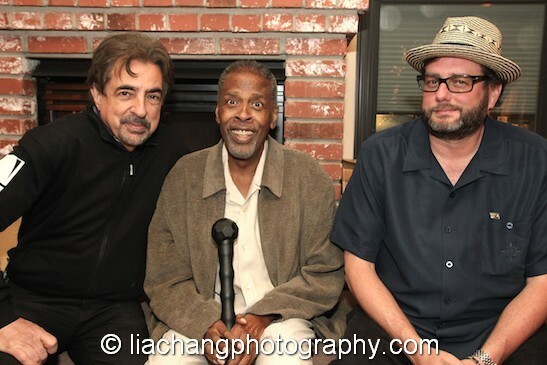 “Two years ago, I presented the producers of my series ‘Criminal Minds’ with an idea for an episode where I would discover that my commanding sergeant from Vietnam (a man who saved my life), I would discover was now homeless on the streets of Los Angeles. My assistant Dan wrote a rough draft of the script, and the producers agreed to film the episode. My only requirement was that the only actor to be considered for the role of my sergeant had to be Meshach Taylor or no one. They agreed and Meshach turned in a performance of a lifetime. 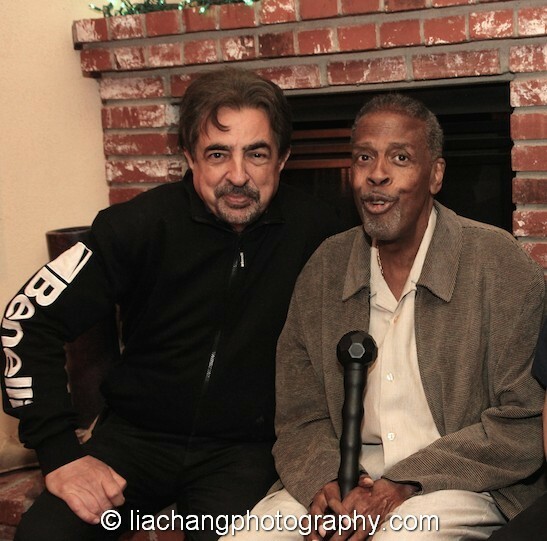 It was only weeks after shooting that episode that he was diagnosed with his disease,” shared Mantegna. “For the next year he fought that disease with a vigor and strength that was remarkable, so much so that when my series then asked me to direct an episode that following season, I again hit them with the idea that I would do it if they agreed to let me bring back Meshach’s character, as we all knew that the chance to work again would be the best medicine anyone could offer him,” said Mantegna. Five months before Taylor died, Scott and Rossi crossed paths again during the season 9 episode, “The Road Home,” which aired in January, 2014, in which Rossi helped Scott reunite with his long-lost son. “In the throes of his chemotherapy, he once again turned in a performance of a lifetime. How blessed am I that I was able to watch his first performance as a professional actor in 1970, and then be able to direct and act beside him in his last. I loved him like a brother in every sense of the word, because one should love their brother unconditionally and completely,” said Mantegna. “Criminal Minds” is currently streaming on Netflix, where I was able to watch the episodes, “The Fallen” and “The Road Home”. The episode that Mantegna directed for season 10 brings a sense of closure to Scott’s storyline. Click here to read the complete article in an August 2014 report in EW. Click here for more articles on Meshach. 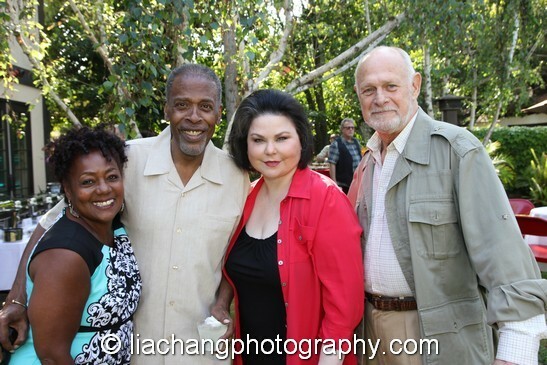 This entry was posted on November 30, 2014 by Lia Chang in African American Artists, Entertainment, New York, Television and tagged Anthony Bouvier, Arlene Mantegna, Backstage Pass with Lia Chang, Bianca Ferguson Taylor, CBS, Criminal Minds, Dan Ramm, Danny Ramm, Delta Burke, Designing Women, Designing Women star Meshach Taylor, Esme Taylor, Gerald McRaney, Gia Mantegna, Hertha Ward Taylor, Hollywood Montrose, Joe Mantegna, Joseph T. Taylor, Judith Taylor, Lia Chang, Mannequin, Meshach Taylor, Mia Mantegna, Tamar Lashae Taylor, Tamar Taylor, Tariq Taylor, Yasmine Taylor.